The Ontario 12 Inch Field Machete features a full tang 12" 1095 carbon steel blade, with a black oxide finish. The 12 Inch Field Machete has a one piece molded D handle. 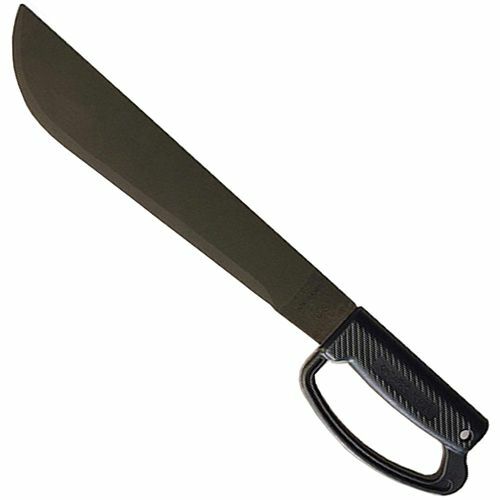 Overall, the 12 Inch Field Machete is 17.25" long with a blade thickness of .125. The 12 Inch D Handle Field Machete comes in two different handle colors, black and orange. The 12 Inch Field Machete does not come with a sheath, but a separate 12 Inch Machete Sheath can be purchased for this model.